China’s new ADIZ in the East China Sea jeopardizes the possibility of unification with Taiwan. Media around the world (including The Diplomat) have extensively covered recent developments regarding China’s new Air Defense Identification Zone. But as usual, Taiwan remains mostly marginalized in the discussions, despite the fact that Taiwan’s government might have the most at stake. For Tokyo and Beijing, the dispute is largely a question of maritime resources and national pride. For Taipei, how the dispute is resolved could also determine the future of Taiwan’s sovereignty. The islands, when referenced in Chinese historical documents, are generally considered to have been part of the administrative zone of Taiwan. In other words, if mainland China does gain control of the islands, it would effectively be administering part of Taiwan. Obviously, this give the dispute a deep symbolic meaning for Taiwan’s government. 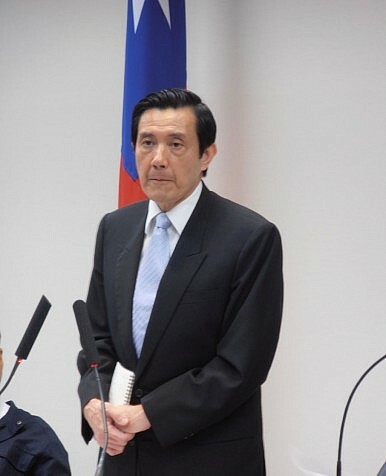 Taiwan’s President Ma Ying-jeou has his own strategy for resolving the dispute: the East China Sea Peace Initiative. The idea calls for countries to shelve the territorial disputes, exercise self-restraint, and work together to jointly develop maritime resources. These ideas were embodied in the fishing agreement Taiwan and Japan signed in April 2013. While both Taiwan and Japan reserved their territorial claims, the agreement formally lays down the right of Taiwanese fishermen to access the area. In response, PRC Ministry of Foreign Affairs Spokesman Hong Lei announced that China was “extremely concerned” about the agreement, and called on Japan to “earnestly abide by its promises on the Taiwan issue.” In other words, China does not recognize the right of the Taiwan government to discuss the territorial issue with Japan. Once again, the territorial dispute becomes an issue of Taiwan’s sovereignty or lack thereof. In this context, it’s no surprise that the announcement of the ADIZ caused quite a stir in Taiwan. Not only does the new zone center around a territory that Taiwan claims for itself, but the zone also overlaps with Taiwan’s own ADIZ. Beijing’s new ADIZ sparked a flurry of comments from Taiwan officials. Major General Luo Shou-he, Taiwan’s National Defense Ministry spokesman, expressed “regret” over China’s new ADIZ and emphasized that Taiwan’s military will continue to protect national security and sovereignty. Similarly, Taiwan’s Foreign Minister David Lin promised that Taiwan’s “stances on Diaoyutai sovereignty and fishing rights will not change simply because of mainland China’s declaration of an ADIZ over the region.” A longer statement released by Taiwan’s Foreign Ministry confirmed that “the ROC government will continue to defend its sovereignty over the archipelago, protect the rights of Taiwan fishermen in surrounding waters, and maintain patrols to safeguard fishing activities.” Taiwan’s Mainland Affairs Council reiterated Taiwan’s claim to the Diaoyutai and called on the mainland to “pragmatically face up to the fact of the ROC’s existence,” further underscoring the connection between the territorial dispute and Taiwan’s existence as a unique political entity. However, Taiwan’s President Ma Ying-jeou seems to want to downplay the issue. He has said that the ADIZ does not involve “air space” or “territorial sovereignty.” He promised that Taiwan will express its “serious” concern to the mainland, but has hesitated to lodge a formal complaint. Many of Ma’s political opponents have seized on the ADIZ to criticize Ma for kowtowing to Beijing. The Democratic Progressive Party (DPP), Taiwan’s main opposition party, said that the zone “poses an enormous challenge to our sovereignty and national defense.” DPP chairman Su Tseng-chang called the move “an expression of regional hegemony” and demanded that Ma “not tolerate China’s trespassing.” The DPP’s official statement called Ma’s handling of the incident “a serious dereliction of duty.” The chairman of the Taiwan Solidarity Union, a party that advocates for Taiwan independence, called the new ADIZ part of a strategy of “gradual annexation” by China. Both the DPP and the TSU used the announcement of the ADIZ to increase their criticism of Ma’s policy of cross-strait engagement. This is dangerous for cross-strait relations, especially from Beijing’s perspective. Under Ma Ying-jeou, Taiwan’s ruling KMT Party has followed a policy of engagement with China, resulting in the closest cross-strait ties since 1949. However, Ma also faces steep opposition in Taiwan, as his political opponents (especially the DPP) believe Ma’s engagement with mainland China is undermining Taiwan’s sovereignty. Ma is also particularly vulnerable politically right now. Several political scandals have rocked his administration in the past year, including public outrage over the death of an army conscript and a nasty battle with the KMT Legislative Speaker. The DPP is even threatening to impeach Ma, whose approval ratings have slipped to a mere 11 percent. If this doesn’t worry Beijing, it should. Ma Ying-jeou’s presidential legacy is inextricably tied to his engagement with the mainland. Should Ma Ying-jeou end his term in disgrace, it will be politically difficult for either a KMT or DPP successor to continue the same level of cooperation with Beijing. Already, Ma’s slipping popularity may have been a factor in his decision to reject Xi Jinping’s request for cross-strait political talks — Ma simply cannot afford to take any more political risks. In this context, Beijing’s ADIZ could have lasting ramification for cross-strait relations. The PRC seems not to have considered the potential backlash on Taiwan — particularly since the ADIZ roll-out occurred only days before an important visit to Taiwan by Chen Deming, the head of the mainland’s Association for Relations Across the Taiwan Straits. The timing of the announcement has marred Chen’s visit. The DPP and other critics have demanded that Ma lodge protests with Chen and even expel him from Taiwan if his response is seen as inadequate. Beijing could easily have avoided this by holding off on the ADIZ for even a week, or even done Ma a political favor by informing him of the decision in advance. Instead, mainland officials missed an opportunity to ease the political shock in Taiwan. As a result, China’s aggressive move to solidify its claims over some uninhabited rocks might jeopardize its chances at a far larger prize — eventual unification with Taiwan. A look at the potential implications a DPP victory could have for Taiwan, mainland China, and the United States.